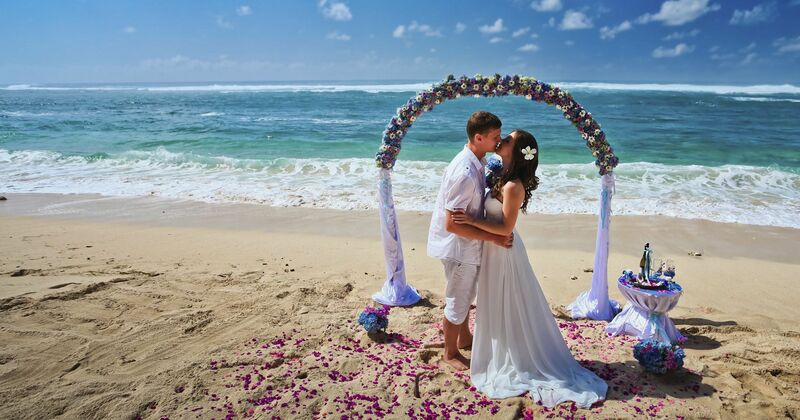 Everyone wants to have a destination wedding party. It’s the ultimate wedding dream for any bride. However, not everyone is lucky enough to have the resources to hold a wedding party out of town or even overseas. For those who do have the resources, take note of some of these tips for planning a destination wedding party. Why do you want to get married in Italy or in Florida or in Paris? What special meanings do these places have for you? While many couples are attracted to a place because of what they see on social media, not all of these places should be under consideration. In the future, it would feel good to look at your wedding photos knowing that the place meant something to you and not just because there was a certain influencer on Instagram that also got married there. Your guests have to be prepared to attend your destination wedding so always notify them in advance where it is happening. Even if you are footing the bill, it is respectful to let them know beforehand that they are invited to your wedding. This will enable them to plan ahead and take leave from their work. They can also prepare their outfits, their pets, their families, etc. that they will be gone for a while to attend your party. Some of your guests will have diet and physical restrictions. Don’t feel bad that your 90-year-old grandfather won’t be able to hike a hill to watch you walk down the aisle. If your guests really matter to you, plan for facilities that will make it easier for them to be present during your big day. Destination weddings are not only expensive because you have to fly everyone there or spend in another currency. They are also expensive because you have to build non-existing facilities for guests who might not be too comfortable with the location of your wedding. If you’re planning your wedding in a particular place, you should definitely see that place in person. Don’t ever trust a wedding planner who says that everything looks perfect. See the location with your own eyes because beauty is very subjective. Brides, in particular, are very detail-oriented and hands-on when it comes to their weddings. If you want to save a bit of your budget, you need to reconsider flying suppliers to your destination wedding. Instead, search for local suppliers who also have glowing positive reviews about their services. You will save on the cost of their accommodation and transportation if they are located where you want the wedding party to be held. Popular wedding destinations will never run out of reputable wedding suppliers. You can also trust that they know more about the place than a wedding supplier from your town or city. They can better plan and source materials for the wedding since they are already well-connected in the local industry.